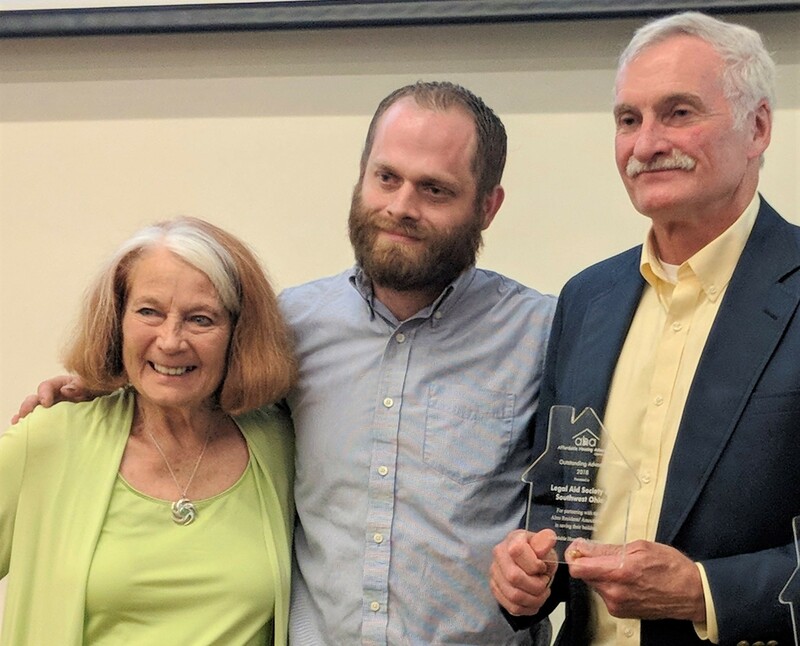 The Alms Hill Residents’ Association, the Greater Cincinnati Coalition for the Homeless, and Legal Aid Society were named 2018 Affordable Housing Advocates. 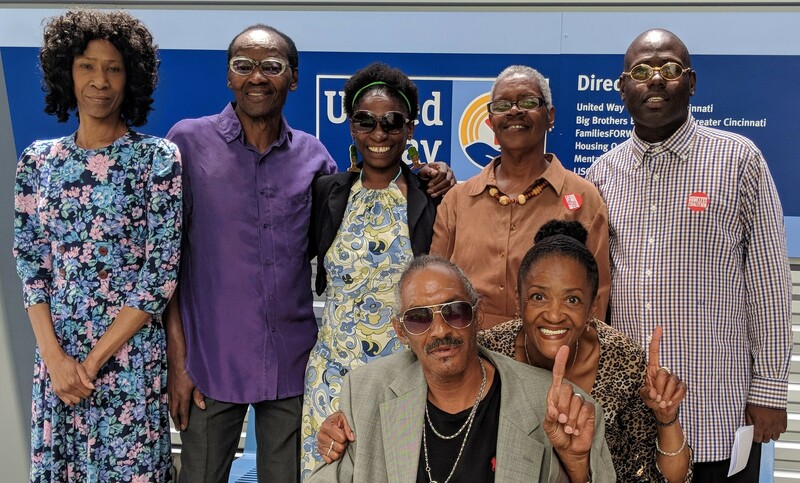 They were honored at the June 5 Affordable Housing Advocates(AHA) annual meeting. John Schrider, Director, Legal Aid Society of Southwest Ohio, LLC accepted the award on Legal Aid’s behalf from Patricia Garry, President of AHA. Photo on right: Patricia Garry, Josh Spring, and John Schrider.